News VASCERN App officially launched! We are happy to announce that VASCERN App, the free mobile application for IOS & Android created by VASCERN, is now officially launched and available for download at both the Play Store and Apple store. VASCERN App is a mobile application that is created for patients in order to facilitate cross-border healthcare within the European Union, one of the core aims of the ERNs. 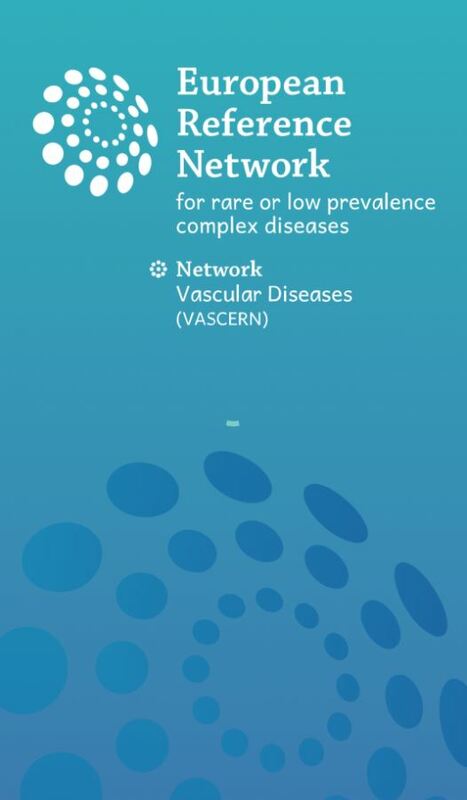 It is a tool that allows patients to search for the most competent Healthcare Provider (HCP) as well as patient organisations related to their rare vascular disease throughout Europe, which are members of VASCERN. Doctors will also find it useful to search for the nearest HCP with an expertise in a particular rare vascular disease. 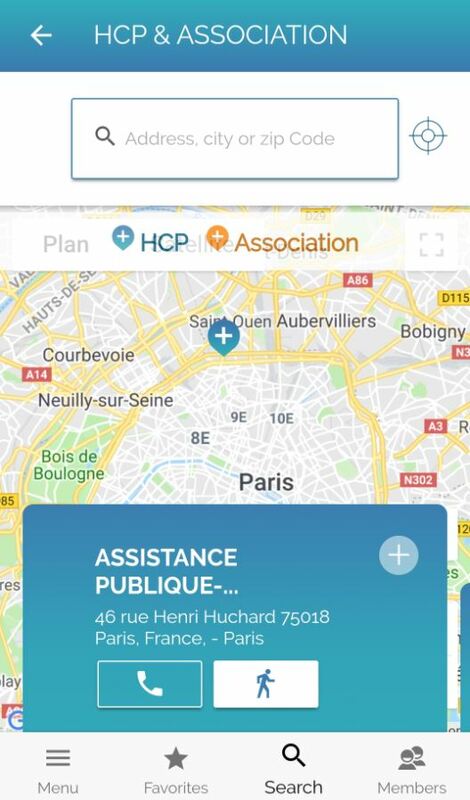 It’s very simple to use as you can search by rare disease and are then directed to an interactive map where you can see the appropriate structures nearby with all relevant information including contact details, the target diseases treated at this centre or covered by this association and the services offered. The App currently contains the data of 37 expert centres in our 31 Healthcare Providers Members and 40 Patient Organisations from our European Patient Advocacy Group (ePAG). VASCERN App comes from the work of the VASCERN eHealth Working Group, Chaired by Dr. Alessandro Pini, who discussed the strategies related to the creation and development of the mobile app during their monthly meetings since 2017. It is the deliverable of our Work Package “Free VASCERN Mobile Application for IOS & Android”. 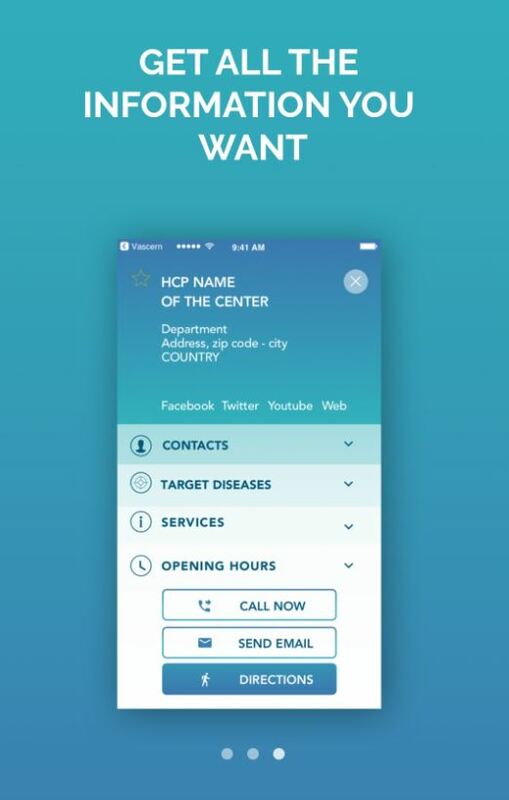 The app has been developed by Media 4 Health and Dr. Alessandro Pini and his team in Milan, Italy, have been working hard with the VASCERN eHealth WG to further define the project, characterize all of the technical specifications of the Mobile APP and collect all datasets from VASCERN HCPs and ePAG Patient Organisations. The VASCERN European Patient advocacy group (ePAG) was also critical in the development on this application as they gave their feedback on what features were useful to patients throughout its development and coordinated the task of gathering information on patient organisations in Europe. 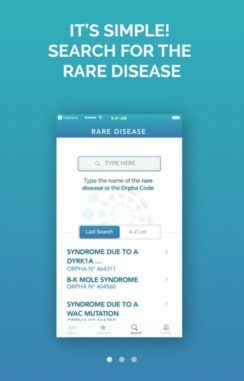 For more details on how VASCERN App was developed through the collaboration with rare vascular disease patients, read this article. This is the first version of the VASCERN App. It is currently only available in English, however, translation in all EU languages is a project for our third year of activities, as well as adding new features to the Mobile App. 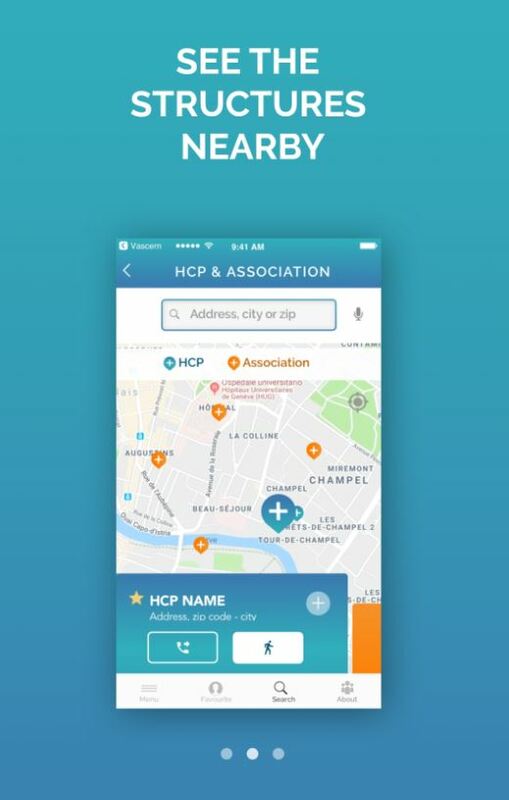 This App will be constantly monitored (quality control and corrections) and updated (evolutions within our members, adding new HCPs and new patient organisations). Stay tuned! To our HCP, ePAG Members and users: if you have any comments & request for changes regarding the information provided in the APP, please contact Dr. Alessandro Pini. Please share this news so that VASCERN App is widely downloaded. We would also love to hear your feedback!